*With monitoring agreement and $99 activation fee. 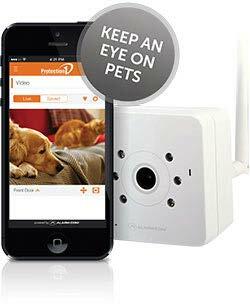 Home Automation Features Available Include.. Arm & Disarm System. Lock & Unlock Doors. Control Thermostats, Lights & Small Appliances. Visual verification when someone enters the home. Peek-In on the nanny, children, pets or employees. Notifications when system is armed, disarmed etc.